Being a senior can be a very fun and rewarding time in your life. The wisdom that comes with experience can give you a unique perspective on the world around you while you enjoy perks such as the freedom to travel, less responsibilities and the joys of children and grandchildren. However, for many seniors, one thing that is missing from this exciting and rewarding time in their lives is an active social life. Social circles are always changing, but for seniors they can often be even more complex. Many times friends and family may no longer be with you, old companions may have moved away to retire or you simply may not get out as much to keep up with different social opportunities. This is why so many senior adults struggle with making and maintaining friendships. While it can be a challenge, it doesn’t mean that you can’t make new friends. 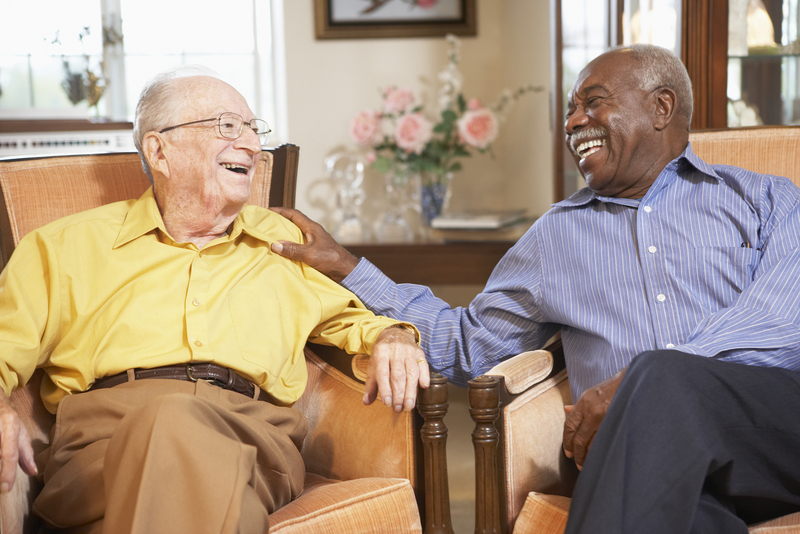 Here are some easy tips to consider that can push you in the right direction so you can continue to experience new and lasting friendships well into your golden years. Start Striking Up Conversations – You never know where you will meet a new, quality friend. Chances are, there are a number of people that you see in your daily life that could potentially be great new friends. Push yourself to be more outgoing and talk to the people you see in your community, whether it’s the friendly neighbor next door, the woman you see at the market every week, or the kind gentleman that is always behind you in line at the coffee shop. You never know who you may have a lot in common with, until you start talking to them. Join a Club or Group – One of the best things about being a senior in our world today is that there are so many unique opportunities for seniors in communities across the country. Seniors make up a very large percentage of our population which is why social clubs, community centers and gyms alike all have special programs designed specifically with seniors in mind and that are created to be both fun and to promote social interactions. Join a group or facility in your community, they are great places to have a little fun and to meet new people. Don’t Limit Yourself – Just because you are a senior, it doesn’t mean that all of your new friends have to be seniors as well. You never know who may end up being a great friend, so don’t be afraid to reach out to younger individuals. The nice young couple that moves in across the street may be young enough to be your child but it doesn’t mean that they can’t be a great friends. After all one of the best things about friends is that they can provide you with a unique perspective on the world that makes life all the more interesting. Hop Online – Many seniors are understandably apprehensive about using the internet to find friends or companions, but you may be surprised to find just how many seniors are on the internet looking for social activities and connections. There are numerous websites that not only help seniors connect one-on-one but that list a number of different social activities and outings in your local area. Remember, you are never too old to make a new friend. While it may not come as easily as it did when you are younger, if you put yourself out there and keep these tips in mind, you will find many adults your age also looking for new and substantial friendships at this time in their lives.